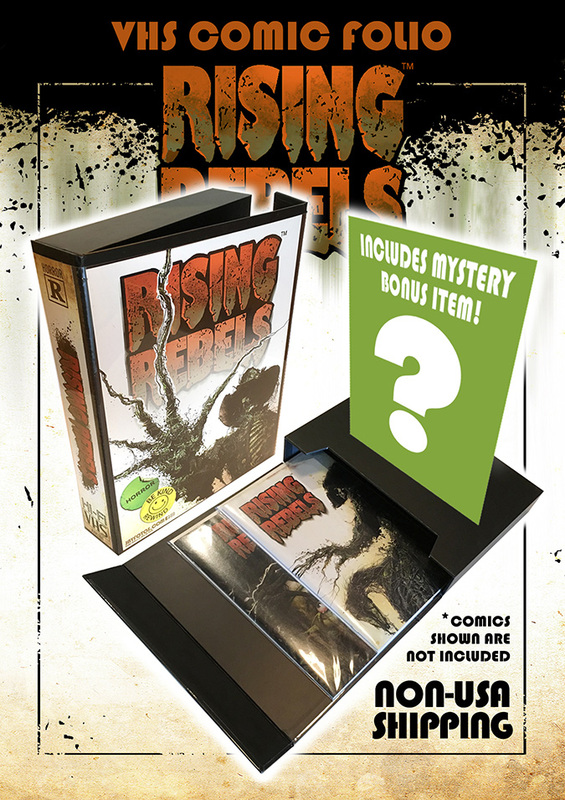 Store all your RISING REBELS comics and more in this VHS style folio case that has strong magnetic closure. * MYSTERY BONUS ITEM INCLUDED WITH PURCHASE! * Comics shown in photo are not included with Folio Case.